Unlike the Cass Avenue addition, the interior of Gilbert's original structure on Woodward Avenue is anything but typical. 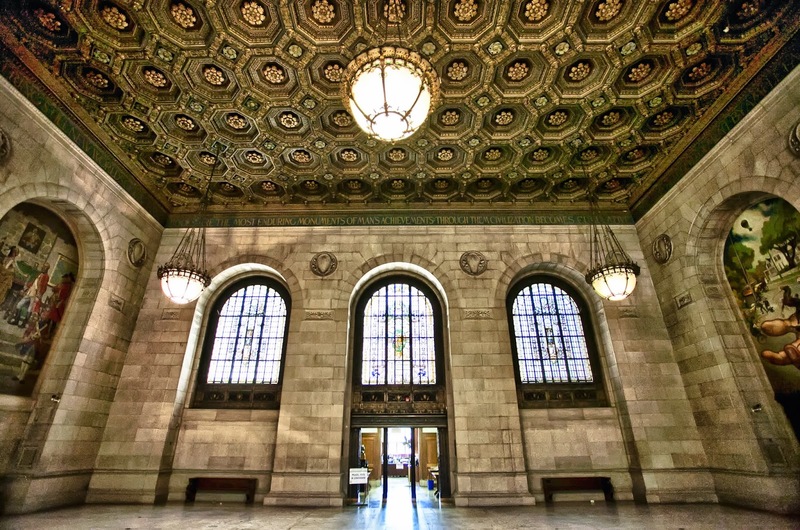 With works of art spread throughout its enormous marbled halls, ornate stairways and ceilings, and the cool, dry, and silent air that fills its halls, it feels like a museum or temple dedicated to the art of reading. The third floor of the library is breathtaking. 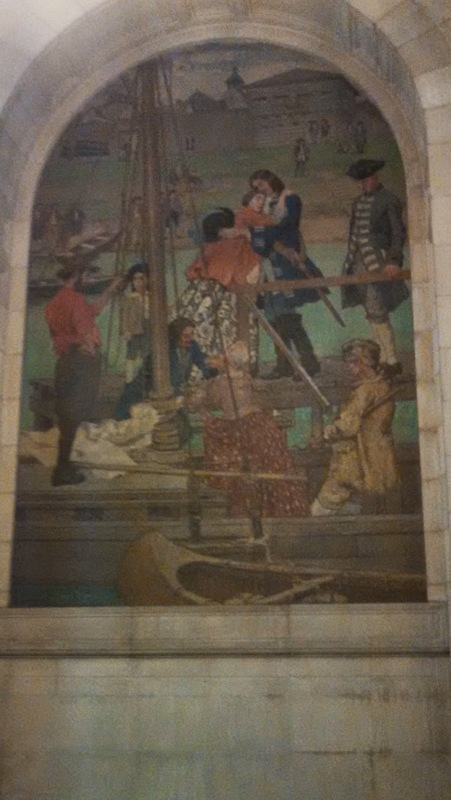 The main stairwell on the library's third floor contains several murals by artist Edwin Howland Blashfield. 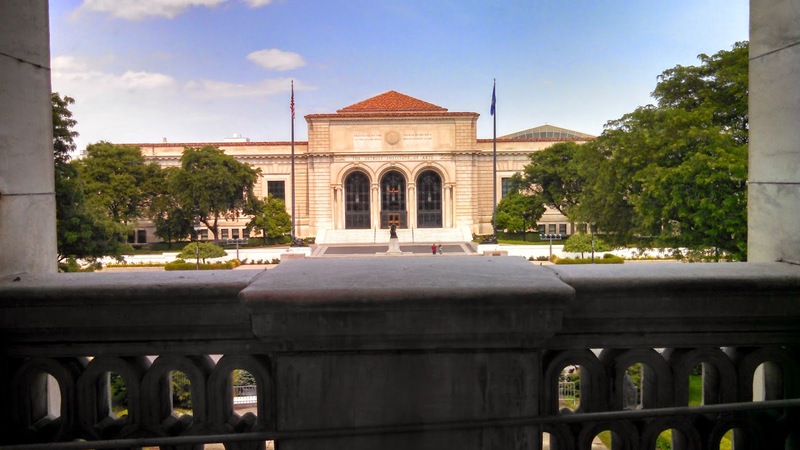 A reading room looks over Woodward Avenue and the DIA. 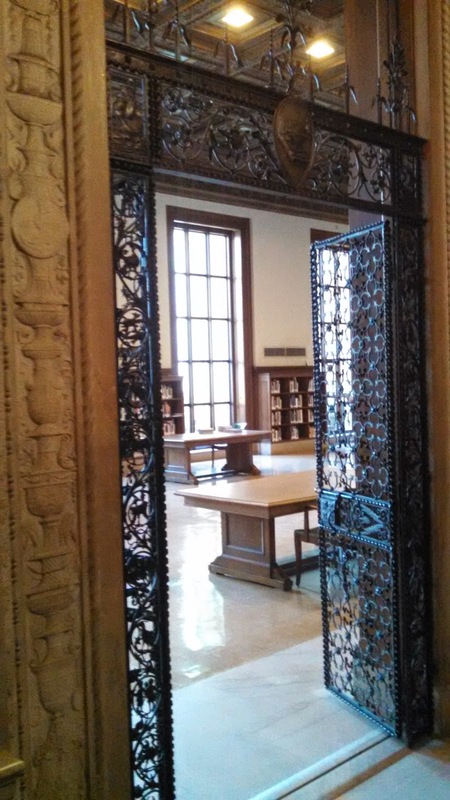 One entrance to the reading room is trimmed with an iron gate created by master ironworker and Polish immigrant Samuel Yellin. The highlight of the library is the Adam Strohm Hall. The giant hall has large stained-glass windows throughout. 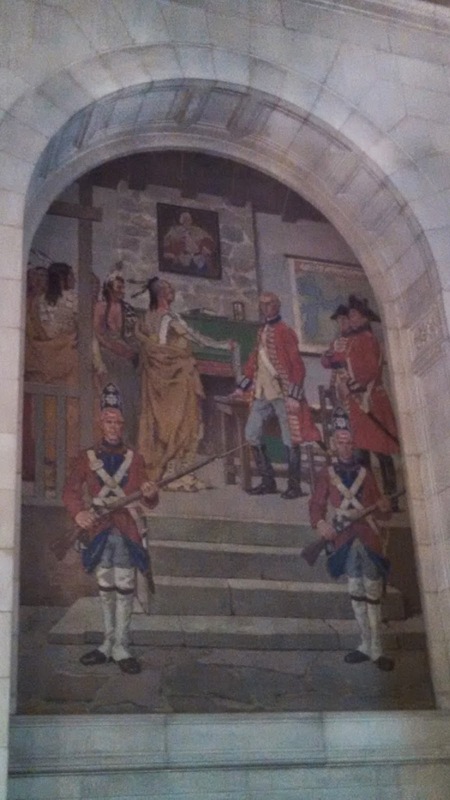 On opposite sides of the hall are two sets of three murals. 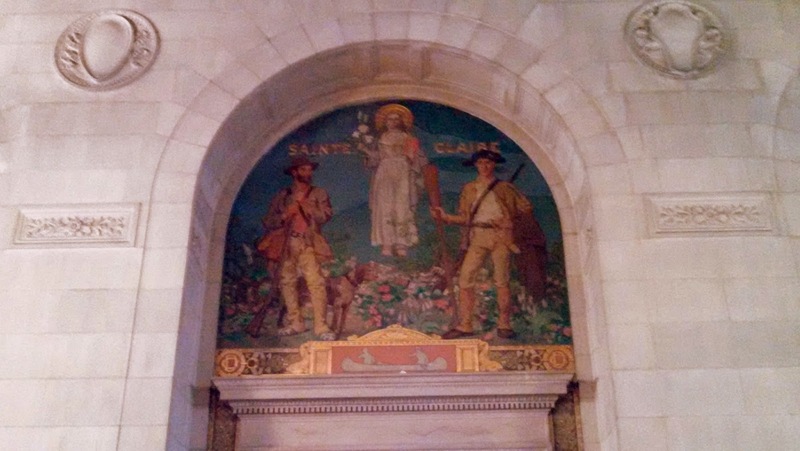 Three murals, completed in 1921 by Detroit-born artist Gari Melchers, depict Detroit's early history. 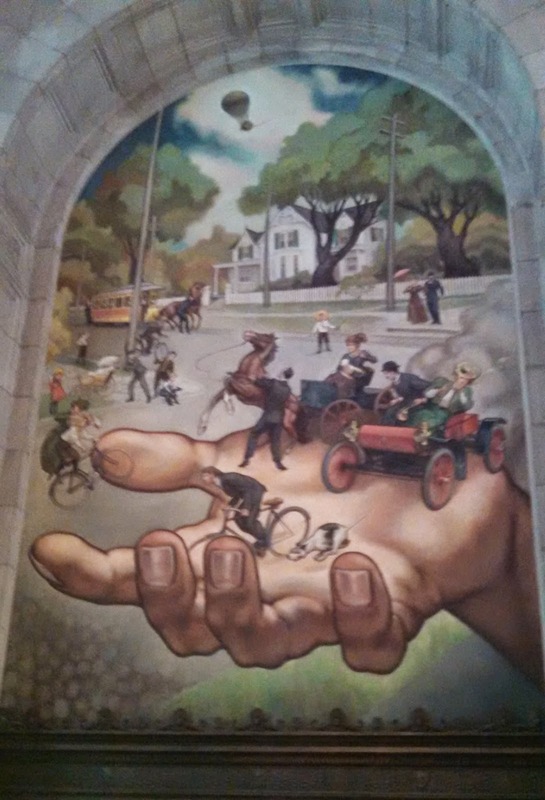 In 1964, John Stephens Coppin completed his murals, called "Man's Mobility." 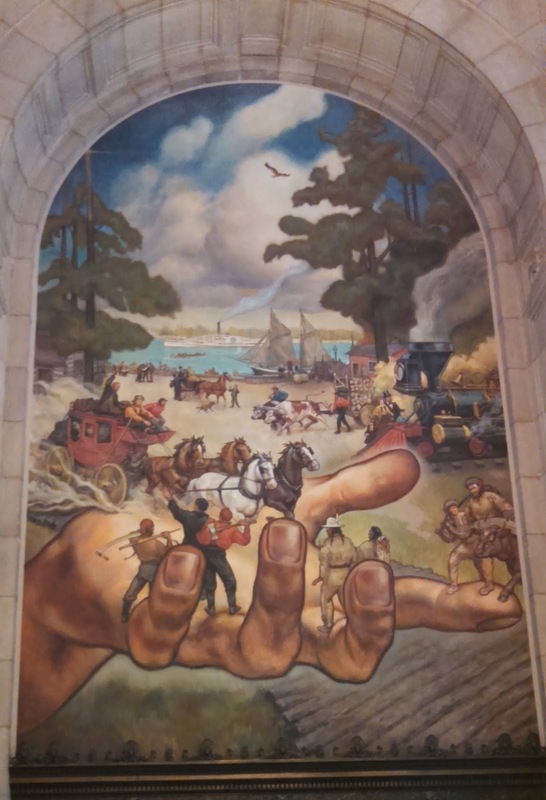 These murals depict the progression of human transportation from horses and wagons to rocket ships. 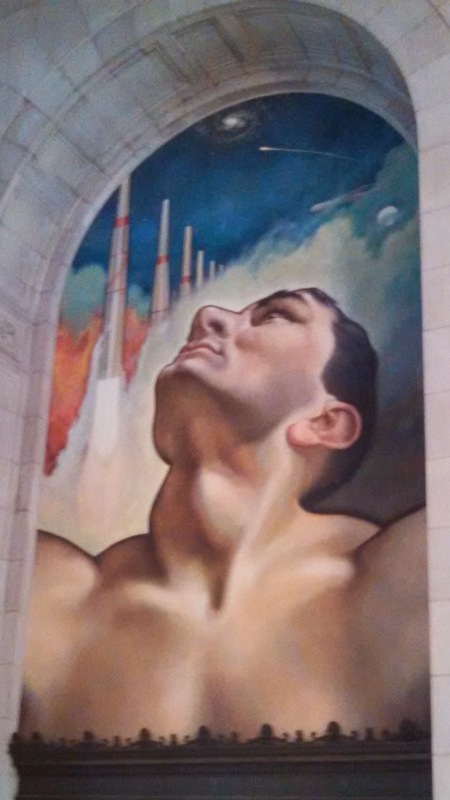 Cass Gilbert built a house worthy to hold humanity's greatest achievements and an enduring monument to Detroit. 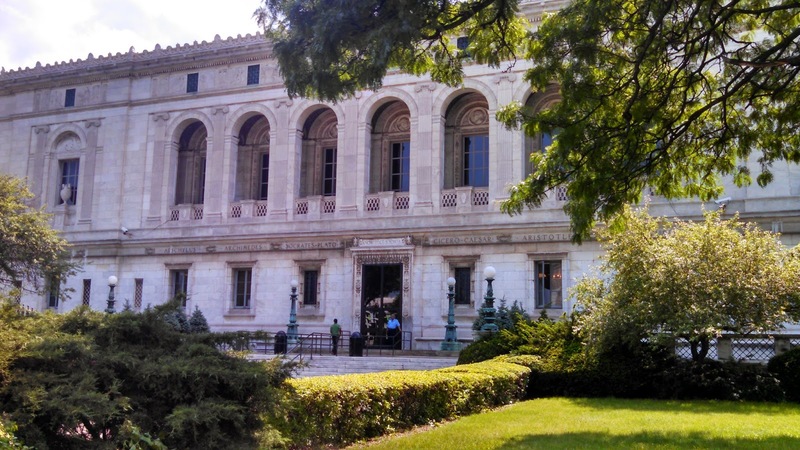 The Detroit Public Library's Main branch is located at 5201 Woodward Avenue. For hours and directions, click here. 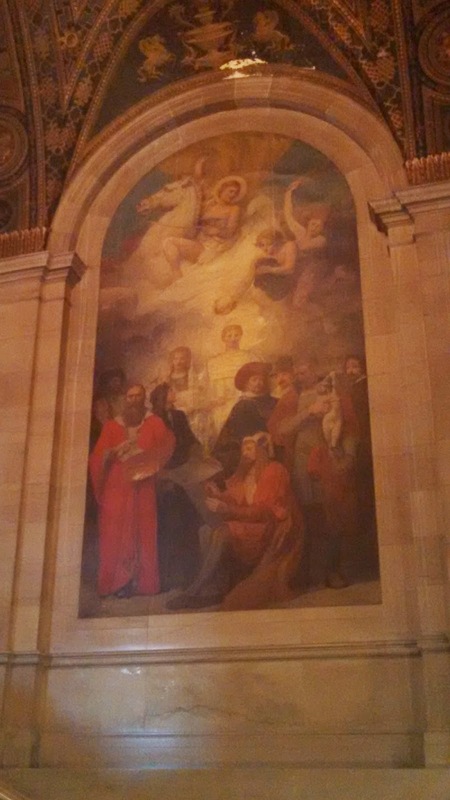 Thank you for this educational glance at the Detroit Public Library! 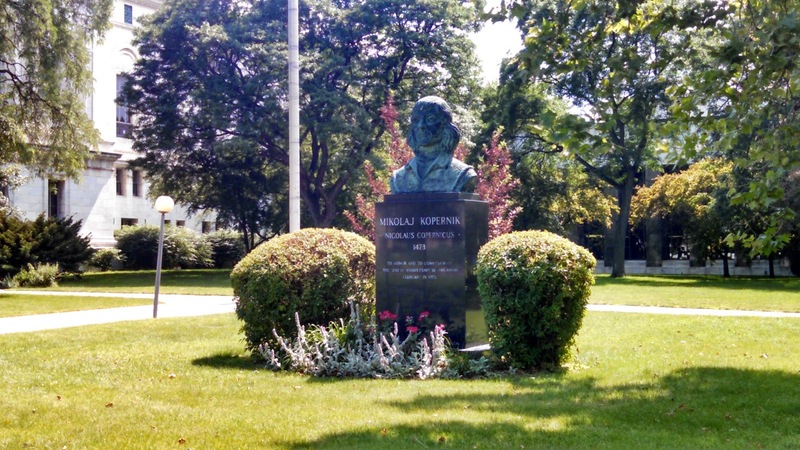 I've added it to my list of places to explore in Michigan. It's a blessing to live in a state so rich in history and achievement. Thank you, Charity. 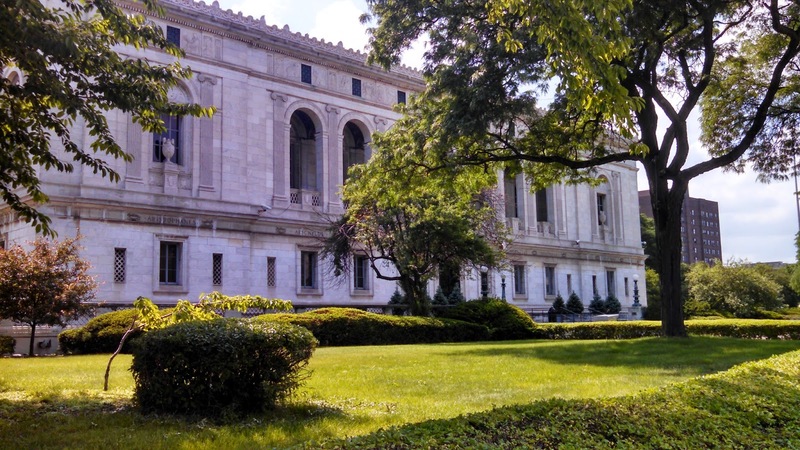 Do not forget to visit the DIA, the Detroit Historical Society, and Wayne State University's campus as well. They are all across the street from the library. 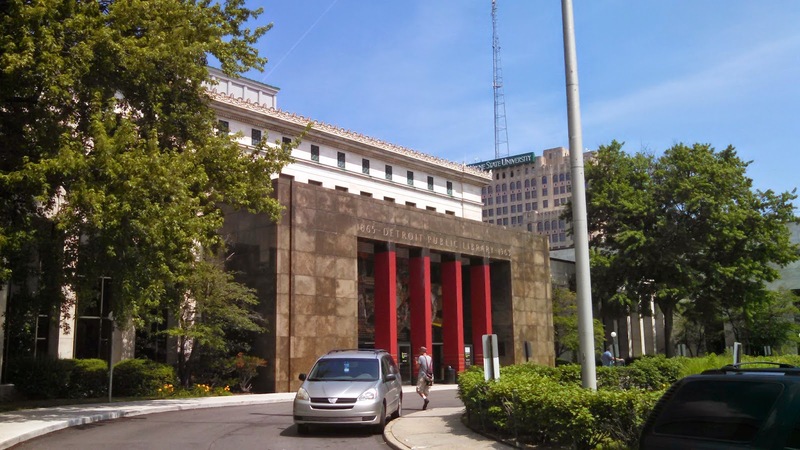 Plus, there are a few other museums and the science center within walking distance from the library. Although a Detroit residents for many years, I just notice some important words above the murals and three stained glass arch windows in the Adam Strohm Hall of the third floor. I had wrote them down and did a search of them on the internet. Now, I feel like a pirate of an explorer as I have discovered that those words a 4 separate quotes from John McAlister, Francis Bacon, John Denham and Cass Gilbert. All of these quotes will be added to my quotation collections. Thanking you in advance.